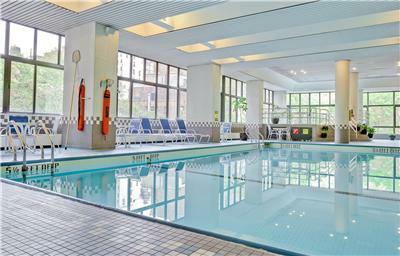 Last year I published a popular blog about condos with pools on the Upper West Side. Due to the popularity of that post, I was asked by buyers to expand the post to include more neighborhoods and more Manhattan buildings with pools. 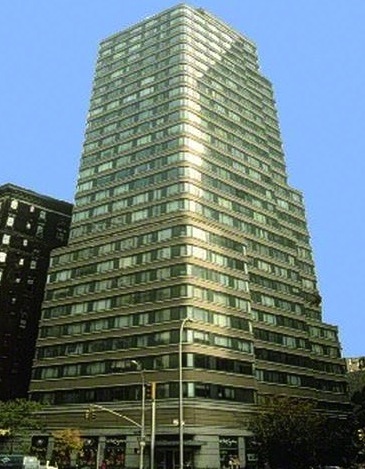 Since most Manhattan apartment buildings are pre-war they were rarely built with pools. Today many new large construction developments are including pools, so there are more pools in more condos and condops in more Manhattan neighborhoods than ever before. While a pool in a NYC building may be considered a fabulous rare lifestyle amenity, for those buyers that swim daily it is a must have. 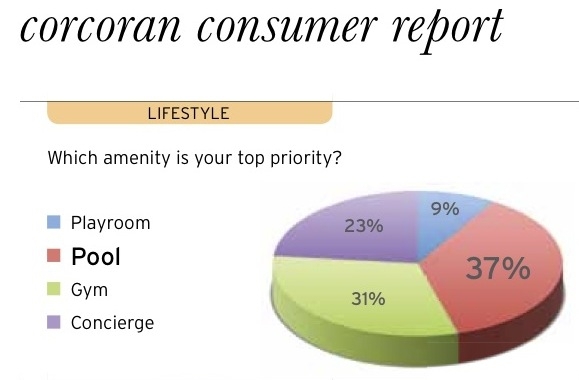 According to Corcoran's consumer report, 37%, the largest margin said a building with a pool is a top priority amenity for them. This is the second post in a series featuring Manhattan Apartments (condos, condops and coops) with pools. 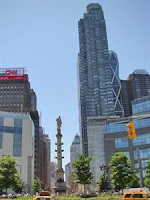 This post will focus on the Lincoln Square (Lincoln Center area), Columbus Circle and Hell's Kitchen /Clinton neighborhoods. Prices vary building to building upon availability starting around $700,000 for studios up to $20 million+ for large multi- room apartments. 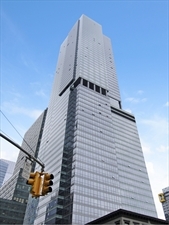 One57 prices range from $3.3 million to $102 million. 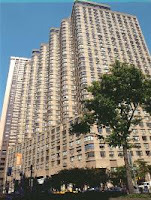 Please contact me if you are looking to purchase or sell a condo, condop or coop in Manhattan. What a smart post, Mitchell. I know that a pool was a key criterion for me when I was looking for a place - both for renting and for buying. It makes a big difference. How I love Manhattan! What a great post. The one regret I have in my life is not moving there after high school. I tell my daughter it is the land of opportunity. Just out of comparison curiosity? 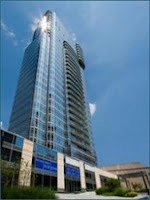 What are the condo fee's like? 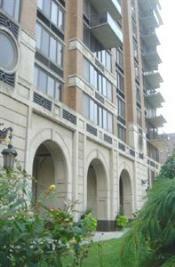 I am in a rural area outside of DC, we do not have many condos in the area I live in, but a small portion of our market does have a few condo's. The most expensive we see here outside the beltway is in the $600-700's. 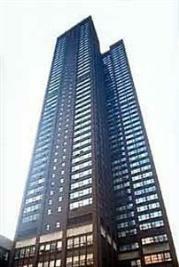 Mitchell, a great resource for people looking for a condo with a pool. I was surprised to see such a large number with a pool being a top priority. 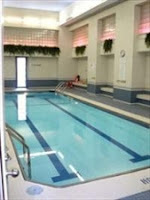 Great post Mitchell and an indoor pool really makes a difference for people who need the exercise or aqua therapy. Great idea ... 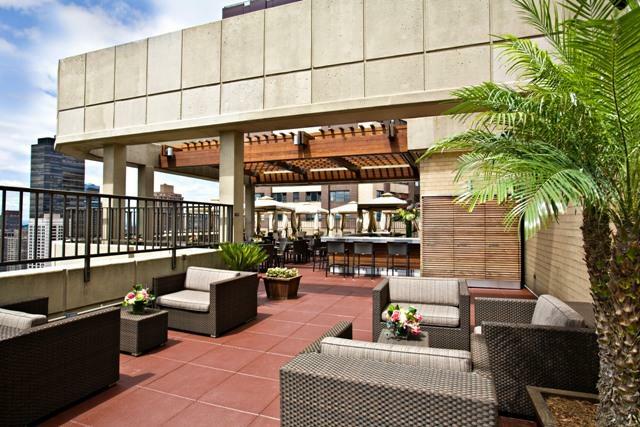 I would love a condo in the city.. One of these days!! NYC is the best! Thanks for all the comments, feature and re-blogs. I'm on my way out to my three open houses today. I will be back and answer all comments. Have a great day! Good morning Mitchell. Janis re posted this and I'm glad she did because I missed it the first time. You write beautifully and the pictures and narratives are soooooo good. You are without a doubt the expert on NYC neighborhoods and what they have to offer, Mitchell. Those are some beautiful settings for some beautiful pools. Have a wounderful Christmas. Good to know there are more pools than there used to be when I lived in Manhattan (Lincoln Plaza, I think it's a coop now, not condo). One needed to belong to the club, it was an extra fee. 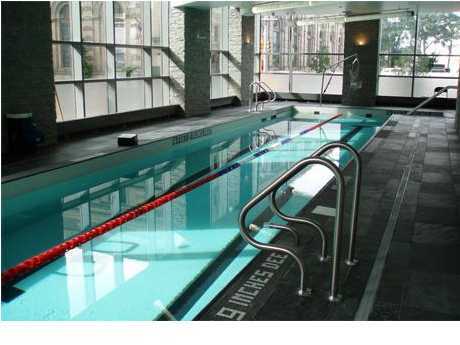 The photos accompanying show lap pools -- and YES a wonderful feature for a resident in a condo. I would love a lap pool, which is much different from a "kidney" shaped cement pond. Lap pools are not for aesthetics in a yard/garden, but for the health benefits gained from swimming . . . laps. Lenn, Thank you for the re-blog. Beverly, Thank you, There is a lot of opportunity in Manhattan. It can be a tough town too. 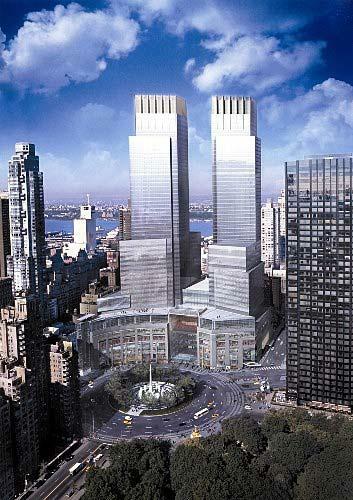 As Frank Sinatra sang: If I can make it there, I'll make it anywhere, It's up to you, New York, New York.... 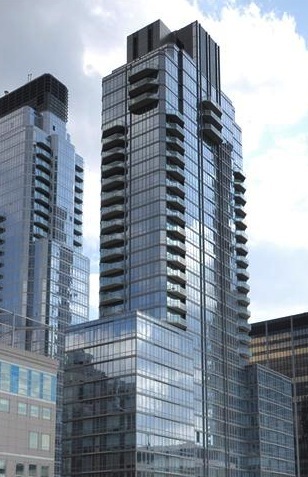 Most condos start around $600,000. Most of our apartments are coops. Condos are more expensive primarily because of supply and demand. Limited supply high demand because many buyers (ie: investors and foreign buyers) can not qualify to purchase in a coop so they push the prices of condos up. The condo fees are common charges CC: and real estate taxes combined they start around $1,000/month. Michael, Thank you. I was suprised by the large number but it makes sense. You can join a gym or health club in every neighborhood but finding a pool (YMCA JCC few health clubs) is more difficult. If you swim it makes sense to have a pool where you live. Richie, Thank you. It seems to be a deal closer for many buyers today. Joanna, Thank you. A pool really makes a difference for people who need the exercise or aqua therapy. Sheila, Thank you for your kind words and I thank Janis again for helping you find my post. Jill, Thank you, I try to stay on top of my market. It is constantly changing. Mark & Tim, Thank you and you have a Merry Christmas and Happy New Year! Olga, Thank you. 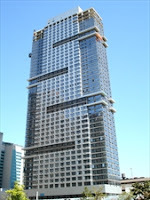 There are more and more with many of the newly constructed condos. 30 Lincoln Plaza was a rental building that converted to condo in 2009. There are still many renters in the building. Rental buildings usually require a membership or fee to use the health club/pool. 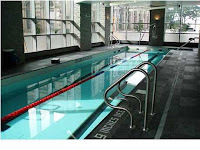 In coops and condos that have pools and health clubs the fee is usually included in their maintenance or common charges. Carla, Thanks. You are absolutely right. Lap pools are for people who swim not for lounging and drinking margaritas. 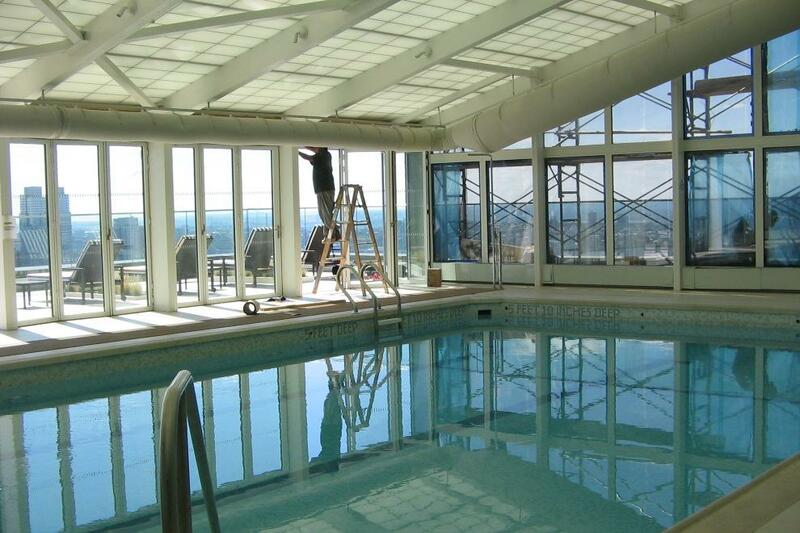 The buyers I've worked with that want a building with a pool are very specific about their needs. They want to know how many lanes?, the hours the pool operates? and the temperature of the water in the pool? Great localism post. Cool looking building where you can find condos with pools. Mitchell I remember the original post. I can see why having a Manhattan Condo with a pool would be a big draw for many. I love when clients or the public make a suggestion about information they would like to see. In this case you really delivered; some great choices here. Barbara, Thank you. I will be writing more posts about condos with pools. I'm working my way downtown the west side then back uptown on the east side. 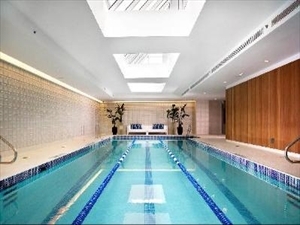 Look for Chelsea and Greenwich Village in my next Manhattan condos with pools post. Jennifer, Thank you, A buyer who found my original post ended up buying a condo in a building that was not in the original post. 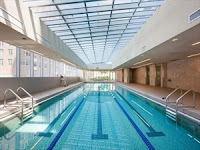 We started looking on the Upper West Side but ultimately found the perfect apartment and pool in The Sheffield on West 57th Street right below thew Upper west Side. I was encouraged to include that neighborhood. I will continue writing about this wonderful niche market. Great info Mitchell. 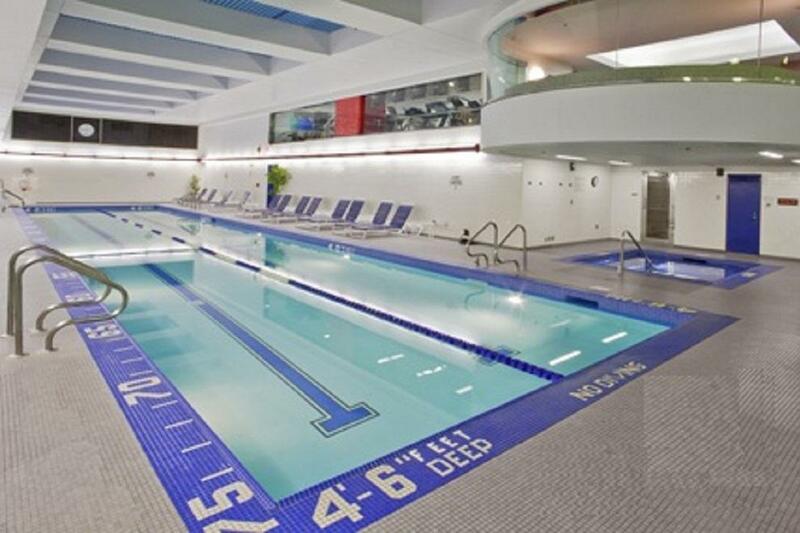 I had no clue that so many condos now have pools in Manhattan.